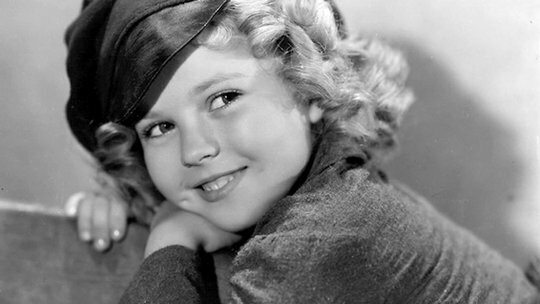 When I was little, I was often told that I looked like Shirley Temple. My blonde curls apparently made me look “cute,” because that’s the first thing everyone told me. Starting from a young age, I was complimented for my appearance. My story is not unique. Our first instinct when we see a small child is often to comment on his or her physical appearance. We compliment little girls on their pretty dresses and tell little boys that they look so handsome in their collared shirts. For NEDA week last year, I challenged others to stop using numbers to define their self-worth. This year, I challenge you to notice how often we focus on physical appearance, and maybe help me to curb some of that obsession. For starters – don’t call me beautiful. Several years ago, when I was consumed by anorexia, I was obsessed with wanting other people to make positive comments about my appearance. I had no idea that, many years into recovery later, I would come to dislike when people called me beautiful. Sure, I give in to the societal norm of feeling happy when someone says something good about my physical self. On second thought, though, I’m reminded that our society is so consumed by ideas of “beauty.” That’s what consumed my life for all of middle school and most of high school. I don’t want to perpetuate that anymore. During this National Eating Disorders Awareness Week, and all future weeks to come, I’d rather you comment on anything other than my appearance. I’d rather you call me intelligent, funny or kind. I’d rather you call me weird. I’d prefer you call me out on having a strange taste in movies. I’d rather you call me out on my strange taste in music. Throughout this week, I challenge you to compliment your friends and loved ones on things other than appearance. My brain, like the brain of all humans, is pretty amazing. It contains 100 billion neurons that are doing some pretty cool things, coordinating all at once. Unless you’re a brain surgeon, you’ll hopefully never see it. You’ll never get to comment on its physical appearance. If you’re going to make a comment about me, make it about the thoughts and actions that begin in those neurons. We can call everyone beautiful. In my opinion, though, I'd rather call everyone amazing. Everyone has their own set of 100 billion neurons doing some pretty cool things. Let’s celebrate our minds, our ideas, and our opinions. Let's stop talking about who looked the best on the Red Carpet and get back to thinking about the ideas that were put into the movies that brought them there. Let's tell little girls and boys that they're intelligent, strong and friendly.